Say good-bye to unwanted yellow tones and boost brightness with PlatinumX. This everyday gentle cleansing formula features wheat protein to help balance moisture; honey, lemongrass, verbena and citrus extracts to help brighten hair color. What is it? 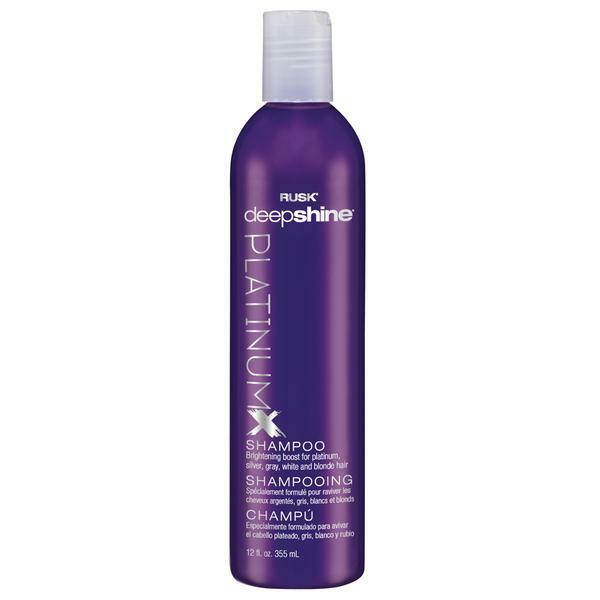 Rusk Deepshine PlatinumX Shampoo is a gentle cleansing shampoo formulated to neutralize yellow, boost brightness, and eliminate brassiness. Who is it for? 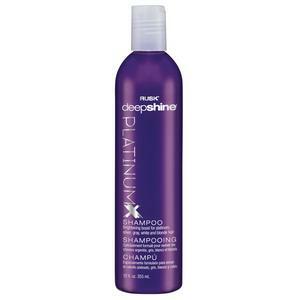 Specifically for natural or color-treated platinum, gray, silver or blonde hair. What does it do? It ?color perfects? your hair. It?s formulated with Violet 2 to help neutralize unwanted yellow, boost brightness, eliminate brassiness. How do you use it? Apply to wet hair, gently massage into a rich lather and rinse. Repeat if desired.